Dave Gahan the lead singer of Depeche Mode was born 9th May in 1962. Depeche Mode are English electronic music band who formed in 1980 in Basildon, Essex. The group’s original line-up consisted of Dave Gahan (lead vocals), Martin Gore (keyboards, guitar, vocals, chief songwriter after 1981), Andy Fletcher (keyboards) and Vince Clarke (keyboards, chief songwriter 1980–81). Vince Clarke left the band after the release of their 1981 debut album, Speak & Spell, and was replaced by Alan Wilder (keyboards, drums, occasional songwriter) with Gore taking over songwriting. Wilder left the band in 1995 and since then Gahan, Gore, and Fletcher have continued as a trio. Martin Gore recently colaborated with Vince Clarke on the Album VCMG-Ssss.Depeche Mode have had 48 songs in the UK Singles Chart including “Enjoy the Silence” “Policy of Truth” “Personal Jesus“ “World in My Eyes””Never Let Me Down Again” and “Walking in My Shoes” twelve top 10 albums in the UK charts, two of which debuted at #1. According to EMI, Depeche Mode have sold over 100 million albums and singles worldwide, making them the most successful electronic band in music history. Q magazine calls Depeche Mode “The most popular electronic band the world has ever known” and included the band in the list of the “50 Bands That Changed The World!”. In 2010 Depeche Mode were ranked No. 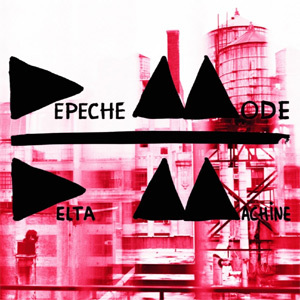 98 on VH1′s list of the “100 greatest artists of all time”.Depeche Mode’s latest album Delta Music was also released recently and contains a great mix of songs. Bono, the lead singer with Irish Rock Band U2, (Paul Hewson) was born 10th May 1960 .Some of U2′s best known songs are “New Year’s Day”, “Bullet the Blue Sky”, “With or Without You“, “Mysterious Ways“, “Get on Your Boots“, and “Magnificent“ “I Will Follow” “City of Blinding Lights”.He attended Mount Temple Comprehensive School in Dublin, where he met fellow bandmates Adam Clayton and Larry Mullen Jr., and was reunited with his boyhood friend Dave “The Edge” Evans. Mullen had posted an advertisement on the school bulletin board for musicians to form a band with him; Clayton showed up at the first practice, which also included Dik Evans, Dave Evans’s older brother, Ivan McCormick, and Peter Martin, who were two of Mullen’s friends. McCormick and Martin left the band soon after its conception. While the band was a five-piece (consisting of Bono, The Edge, Mullen, Evans, and Clayton), it was known as Feedback. The name was subsequently changed to The Hype, but changed to “U2″ soon after Dik Evans left the band.U2′s early sound was rooted in post-punk but eventually grew to incorporate influences from many genres of popular music. Throughout the group’s musical pursuits, they have maintained a sound built on melodic instrumentals, highlighted by The Edge’s timbrally varied guitar sounds and Bono’s expressive vocals. Their lyrics, often embellished with spiritual imagery, focus on personal themes and sociopolitical concerns. Within four years, they signed with Island Records and released their debut album Boy. By the mid-1980s, they became a top international act. They were more successful as live performers than they were at selling records, until their breakthrough 1987 album The Joshua Tree, which, according to Rolling Stone, elevated the band’s stature “from heroes to superstars”. Reacting to musical stagnation and late-1980s criticism of their earnest image and musical direction, the group reinvented themselves with their 1991 hit album Achtung Baby and the accompanying Zoo TV Tour. U2 integrated dance, industrial, and alternative rock influences into their sound and performances, and embraced a more ironic and self-deprecating image. Similar experimentation continued for the remainder of the 1990s with mixed levels of success. U2 regained critical and commercial favour after their 2000 record All That You Can’t Leave Behind.